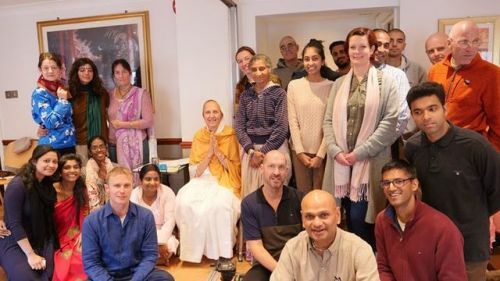 London College of Vedic Studies (www.facebook.com/londoncvs) was honored to have HG Devaki devi dasi (Founder, Institute for Spiritual Culture) deliver an instructive and relevant seminar entitled ‘Being in Harmony with the Opposite Gender’, on Saturday 22nd September 2018. 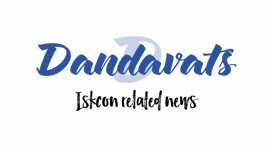 The College serves as the educational wing of ISKCON-London, offering a wide range of educational, spiritual and practical courses, seminars and workshops aimed at nurturing character, personal fulfillment and spiritual progression. We had attendees from different ashramas – ranging from married couples, those who are engaged or single, to even Temple residents and full-time monks. The seminar was aimed to teach devotees how we can harmonize our relationships with the other gender at all levels: within marriage, management, society, work or Temple service, by understanding and applying the universal principles of Krishna’s supportive culture. Are men & women equal? Mother Devaki clearly explained the roles and duties of men and women, their inherent natures and psychology, and how the powerful feminine energy is meant to complement and inspire the male nature. 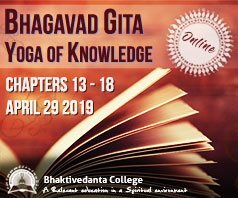 This knowledge not only gave us insights into Krishna’s flawless system (which He has given to us in order to bring stability and harmony into this world) but also we found practical answers and spiritual solutions for many common problems we are facing in today’s society. The feedback from the attendees was overwhelmingly positive and many of them acknowledged how this presentation has triggered an internal transformation within them.